SandyNet is the Internet Service Provider owned by the people of Sandy and operated as a public service by the City of Sandy. The City began offering this service in 2003 and has seen very strong growth in the adoption of this service by the citizens of Sandy. As a non-profit utility, SandyNet operates on a break-even basis, and all savings are passed onto the customers. 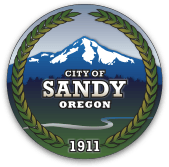 In January of 2014 City Council authorized the City Manager to sign a contract with OFS for the creation of a Fiber to the Premise (F TTP) network in the City of Sandy. This network will utilize the latest technologies in fiber optic networking to bring the citizens of Sandy ultra-fast internet at an affordable price. Fiber-optic service within city limits. Wireless high-speed for rural areas surrounding Sandy. High speed service for business customers based on fiber or dedicated wireless connections. Phone service to residential fiber customers. ** Advertised speeds are up to 300 Mbps or 1000 Mbps depending on package chosen.